It was 16th June 2014, Southampton Football club appoint Dutch legend, free scoring former Dutch international centre back Ronald Koeman as manager after he left Feyenoord at the end of a three year stint, where he managed to guide the Rotterdam side to two second place finishes and one third place finish, becoming a fan favourite in the process. Little did he know what would lie ahead writes Max Griffin. After The Saints managed back to back promotions to rejoin England’s elite, finishing 14th and then eighth in alternating seasons under the guide of the cold and calculated Nicola Cortese the signs were looking good – ‘little Southampton’ were on the up. Steadily the club were writing off their debt, left from the financial crisis at the club that landed them with a ten point deduction and in League One (England’s third tier). However, slowly but surely they were re-finding there feet in the Premier League, a division they were in for 27 years consecutively before being relegated in 2005. The eighth place finish the club managed at the end of the 2013/14 season under the guide of Argentine coach Mauricio Pochettino showed that the club’s progression under Cortese was ongoing. The South-coast side jumping six places from the 2012/13 season where Pochettino had come in to steer the club from the threat of relegation, (replacing fan favourite Nigel Adkins to wide criticism), speculation was rife and rightly so. Finishing eighth was one off a Europa League qualification place and players such as Dejan Lovren, Jay Rodriguez and Morgan Schneiderlin were all touted as targets for clubs bigger than Southampton, such as Tottenham, Liverpool and Arsenal. As if this wasnt bad enough speculation was begging to mount that Cortese, the man who Southampton supposedly owed their regained Premier League status too was once again dropping hints he may leave the club, with Pochettino likely to follow suit. Cortese was spouting that he would leave the club if he was not allowed more control over the day to day running of the club from owner Katharina Liebherr, including more money for transfers. An agreement was not reached and on the 15th January 2014, Southampton accepted Cortese’s resignation, and so began the clubs famous ‘meltdown’. Just days after Cortese’s resignation, Pochettino was fielding questions about his future at the club, as in the 2012/13 season he said he did not see a future at the club without Cortese, his direct quote being ‘me on a personal sense, I would not understand a Southampton without Nicola being here’ – he refused to answer directly to questions about his future, saying that he would play out the season and talk to the board when all was done. On the 27th May 2014, Pochettino was unveiled as manager of Tottenham Hotspur. The two most influential men at the club who all the players signed and played for, were gone. Instantly speculation arose with the Saints players being linked with new clubs left, right and centre, the club was in free-fall. Something needed to happen and fast. Up steps Ronald Koeman with his brother Erwin as his assistant (the first time the Dutch legends had worked together in the dugout), signing a three-year deal, it was just the lift the club needed, a big name in football with a reputation. Early signs were positive, with Koeman and the clubs new director Les Reed speaking positively about keeping the current squad together and building from the top half finish they had the season before, but in the modern game players have all the power. Despite their efforts one by one the Southampton exodus began, young left-back Luke Shaw signing for Manchester United, captain Adam Lallana signing for Liverpool, along with Rickie Lambert and Dejan Lovren. 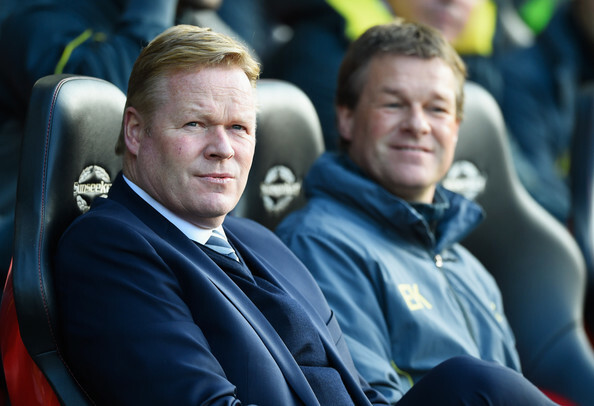 All in all, the Saints lost five of their key players, making over £90 million in the process – Koeman was not deterred. With the club being touted for relegation back to the Championship and having a miserable season to follow their even more miserable summer, things looked bleak. The famous Koeman brothers had a big task on their hands, and a rebuilding task that scared even the shrewdest of operators. Koeman acted fast, blocking a move for Morgan Schneiderlin to follow Pochettino to Tottenham, the news coming from the club was that the selling was over, now it was time to rebuild, in the Dutchman’s image. Investing the transfer money straight back into the squad, which was vastly depleted of resources. In came the cavalry, with the club making a string of big money signings, to match the new direction the club wanted to go in. 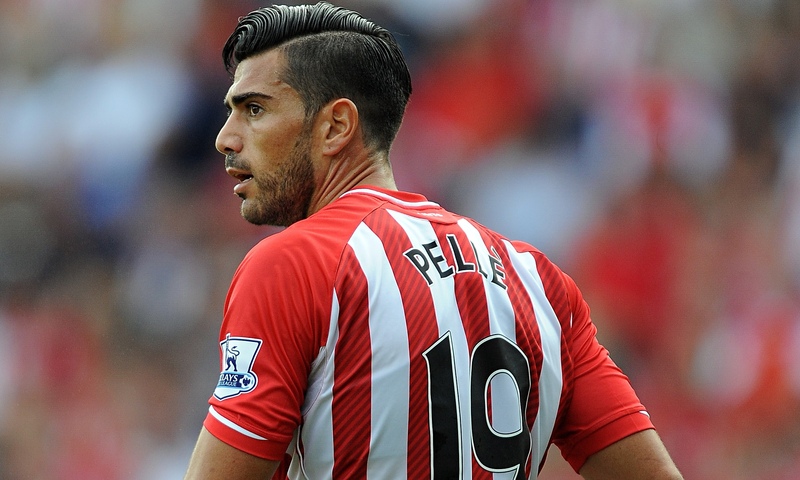 First in from the Eredivisie came attacking playmaker Dusan Tadic (one of the league’s hottest properties) from FC Twente, and from Koeman’s former club Feyenoord – Graziano Pelle. Two players who understood wholly Koeman’s footballing philosophy and style, the fans were beginning to be won over and believe not everything was bleak. Following Tadic and Pelle came Fraser Forster, Florin Gardoș, Shane Long, Ryan Bertrand, Sadio Mane and most importantly Belgian international Toby Alderweireld – a ball playing centre back, schooled in Ajax who played the Dutch way. As a signing it was a massive statement of intent that Southampton where looking to improve, despite their summer of turmoil Southampton seemed to have a well rounded squad, that was in fact stronger than last season’s and was capable of at least staying up. The players that had been brought in, proved Koeman was looking to stick to his principles of building from the back, bringing in three defenders and a goalkeeper. He was moulding his squad to be flexible, playing a 4-2-3-1 formation with attacking full backs and aggressive ball playing centre midfielder’s sitting in front of the defence, his philosophy was to play attractive, passing football, the Dutch way as he was taught by mentor and former manager Johan Cruyff. He wanted a side who could play out from the back, but mix it up and be hard when needed to be. The combination worked. From early on in the season everyone could see what Koeman was trying to do and that he was not far off from creating a real force in the English game. The season started of with a 2-1 loss away to Liverpool, the side who had poached three of Southampton’s key players from last season. The remaining players had something to prove. Despite the loss, they were impressive – pressing Liverpool, having much of the possession, the goal coming from neat passing in and around the Liverpool box when a Tadic backheel through the legs of Lovren opened up the defence, on ran Nathaniel Clyne from right back to rifle home a finish into the top corner. The goal epitomized everything Koeman was trying to achieve, attractive passing football, with attacking full backs looking to cause havoc in the oppositions half. Despite the loss, the Southampton players could hold there heads high, knowing if they carried on in this vain that they would be okay. After the loss to Liverpool came a 0-0 draw at home to West Brom, then everything clicked. On came a six-game winning streak. Solid at the back, free scoring in attack, a 4-0 win over Newcastle and most notably a 2-1 away win to Arsenal in the Capital One cup where Koeman’s men were particularly impressive. They have carried on in a similar vain all season, including beating Sunderland by a massive 8-0 at St.Mary’s where Tadic and Pelle particularly shone, continuing to prove that Koeman knew his stuff in the transfer market. Despite threatening to challenge for top four and Champions League qualification all season, Southampton have fallen short. This was always to be inevitable because of the spending power and deeper squads the league’s elite have but despite this, they have never abandoned their principles playing the same way in the 8-0 victory and the disappointment of a quarter-final Capital One Cup loss to League One outfit Sheffield United. With the strong partnership of Jose Fonte alongside Alderweireld, Southampton have got one of the strongest defensive records in Europe, something Koeman should be understandably proud of. Goalkeeper Fraser Forster being top of the clean sheets charts with 13 clean sheets all before getting injured against Burnley in march and missing the rest of the season, proves just how solid the base that Koeman has built is. It’s one of the top defences in all of Europe’s top 5 ‘power leagues’ and they also have the fewest goals conceded by individual errors, proving that they are well drilled and are switched on, focused on the task in hand. They’ve also broken the clubs points record in the Premier League, it’s the best the club have ever done since the formation of the division in 1992, with a record finish of at least seventh and potential Europa League football on the horizon. The club have once again improved and if they can secure a top seven finish it would continue the steady progression of the club, from 14th, to 8th to top seven in three years would be a massive achievement, European football for the first time since 2003 when they qualified through being runners up in the FA cup would be quite something for a club of Southampton’s size. Potential champions league football could be on the horizon if the club continues to improve in this way, especially under the safe hands of Ronald and Erwin. Because of his achievements, Koeman has major plaudits coming his way being linked with major jobs elsewhere, such as at his beloved Barcelona where he is a club hero and the Holland national team (touted for the job by fellow Dutch legend Ronald De Boer) he has denied interest in all of them….for now. Loyalty being a major thing for Koeman, one of his many desirable qualities, but when his contact is up at the end of 2016/17 season, Koeman is sure to move onto pastures new, a club/country matching his ability, such as Barcelona. If there’s one thing you should know about Koeman and his tenure at the South Coast side, its that the club will never be the same. His eye for detail means no stone is unturned and when he leaves he will surely leave the club in a much healthier state then when he took over, making Southampton a consistent, top-ten quality side capable of being a player in the European game. The Dutch revolution at Southampton may have just begun, but its clear to see that when he leaves, Southampton will never be the same side again. Once a League One side, hours from going out of business, into a quality Premier League team. It can be argued that much like with the sacking of Adkins and replacement with Pochettino, if it had not have happened this natural progression that’s taken place at the club may not have happened at all. Perhaps the club would have been just treading water, although it seemed a disaster at the time Pochettino moving on seems to have been a blessing in disguise, Southampton have been majorly brought on by the quality of ‘Tintin’ and long may it continue.